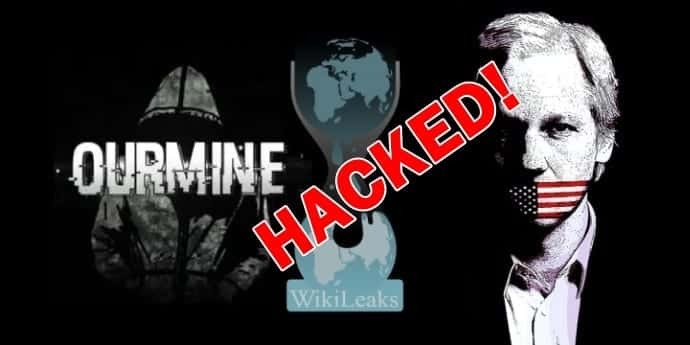 The non-profit whistleblower Wikileaks website was hacked earlier today by a notorious hacking group namely OurMine. Hi, it’s OurMine (Security Group), don’t worry we are just testing your…. blablablab, oh wait, this is not a security test! Wikileaks, remember when you challenged us to hack you? Anonymous, remember when you tried to dox us with fake information for attacking wikileaks? There we go! One group beat you all! #WikileaksHack lets get it trending on twitter! The hacked website is currently unreachable, most probably down for a fix. While it is still not known how the website was hacked, most probably it was done by attack vector DNS poisoning. #Update: It has been confirmed that the hack was carried on using DNS Poisoning and WikiLeaks server where not affected or breached.